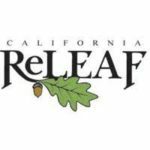 We are pleased to announce that Sustainable Solano has received a grant from the California ReLeaf Social Equity Tree Planting Program that will fund the planting of 60 additional trees throughout Mission Solano, a local Fairfield homeless shelter. The project titled Urban Forest “Vision Solano”, will convert a 3.5 acre campus into a resilient, mixed-canopy urban forest complete with California Native drought-tolerant trees and fruit trees. These trees will be fed through secondary water sources such as a laundry-to-landscape greywater system, rain barrels and roof water where possible. This urban forestry project will provide greenhouse gas reduction benefits, healthy “zero-carbon” produce, educational and job training opportunities for over 150 Mission Solano residents and a beautified shared space for all of Solano County to enjoy and learn from. Closing out 2018, we will offer a series of hands-on workshops, free and open to all, where community members can help participate in the creation of this urban forest that will serve as a living lab on the campus: a teaching ground on sustainable landscaping practices and urban forestry for local communities. 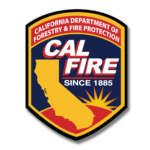 Funding for this project provided by California ReLeaf and the California Department of Forestry and Fire Protection as part of the California Climate Investments Program.